Written by National Football League Expert ATS Analyst Greg Nelson. Charliessports.com produces it for Football News. NFL Weekly Point Spread Picks are comprised of our 500* Signature Selections. So make the smart decision and win alongside us, Enjoy the games! The (6-4-1) SU/ATS Minnesota Vikings got a crucial 24-17 win over NFC North division rivals Green Bay as 3′ point home FAVORITES ATS on November 25th. 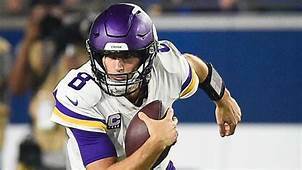 Quarterback Kirk Cousins had an impressive outing throwing for 325 yards completing 29 of 38 passes thrown with two touchdowns while the Viking defense held Green Bay to 254 total yards. Minnesota is 1-6 ATS their last seven vs. Teams with a winning SU record. The road team is 4-1 ATS the last five between the teams. OVER bettors have cashed in 6 of Minnesota last seven against a team with a winning SU record. The Vikings are 3-1 AGAINST THE POINT SPREAD their last four on the road. The (8-3) SU, (7-4) ATS New England Patriots have won seven of their last eight SU including a 27-13 win over the New York Jets last Sunday as 13-point road FAVORITES ATS. New England went into halftime tied with the lowly Jets before outscoring the home team 17-3 after the break. However, POINT SPREAD bettors who gave up the thirteen points had to sweat it out as the Patriots defense kept New York from scoring from the two-yard line in the final seconds. The Patriots are 8-1 ATS their last nine in December. UNDER bettors have cashed in 6 of the Patriots last seven in December. The UNDER is 4-1 the last five times the teams have played. UNDER bettors have profited the Patriots last four overall. Kickoff will be Sunday, December 2, 2018. 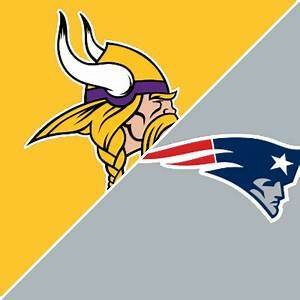 Game time is at 4:25 PM EST at Gillette Stadium in Foxborough, Massachusetts. The FOX Television Network will be broadcasting. The Betting Line has Minnesota at 5 point road UNDERDOGS AGAINST THE POINT SPREAD. The TOTAL is forty-nine points for Sunday’s contest. The Minnesota Vikings have rallied to win five of seven SU since a two-game losing streak in September when the chaos of defensive end Everson Griffen was in question at the team hotel before the Buffalo loss. Head Coach Mike Zimmer did a great job keeping his team together, and they’re now playing with a purpose. $84 million signal-caller Kirk Cousins (3,289) passing yards is the leader of a unit that produces (368.5) total yards per contest, 14th in the NFL. Minnesota struggles running the football in substantial part injuries to Dalvin Cook, but he can break out any moment to take over a game. The average (85.3) yards per game on the ground which ranks 30th league-wide. Wideouts Adam Thielen (1,138) receiving yard along with Stefon Diggs (790) lead a corps that average (299.0) ypg through the air. Minnesota has the most athletic group of linebackers in football with Anthony Barr and Eric Kendricks but Griffen is the emotional leader, and when he’s playing well the defense is ferocious. The Vikings allow opponents (314.7) total yards per contest, 3rd in the NFL. Minnesota is a game and a half behind first-place Chicago who they’ll host in the regular season finale. A key to a Minnesota win is to get pressure on Brady, but if the Vikings offense can’t run the ball, it could get ugly. Bovada.Lv list the Minnesota Vikings at ten total wins for the win the 2018-19 season. It’s the same story in the AFC East; New England is separating from Miami, Buffalo, and the Jets. The New England Patriots have a three-game lead over the second place Dolphins who they’ll play again. However, it won’t make a difference unless Tom Brady goes down with an injury, even then New England will be able to get into the playoffs. A road loss to Tennessee woke the team up as they went into a bye week and now they have sight’s on home field advantage as 2019 is just around the corner. The (388.2) yards per game produced by the offense is tied for 8th in league with Indianapolis while the (118.2) ypg on the ground is 12th in the NFL. Rookie running back Sony Michel (586) leads the team in rushing, another former South Florida high school standout James White who’s his backup leads the Patriots with (567) receiving yards. The Patriots defense gives up (377.5) total yards per contest which ranks 21st in Football and opponents scores (22.6) ppg. New England comes into the game reasonably healthy with the return of Rob Gronkowski. Brady will face Vikings safety Harrison Smith who’s as instinctive as former Ravens star Ed Reed, and that concerns head coach Bill Belichick. New England must take advantage of wideout Josh Gordon who’ll likely be matched up against Minnesota cornerback Xavier Rhodes who is nursing a hamstring injury. Bovada.Lv list the New England Patriots at 11 total wins for the win the 2018-19 season. Free Pick. New England-5 Points. Also Play Online Poker Plus Other Casino Games and enter some of the best Tournaments on the World Wide Web. Did Eagles expose Belichick and Brady, will Patriots bounce back in 2018-19? Written by National Football League Expert Analyst Greg Nelson. Charliessports.com produces it for Football News. Winning NFL Predictions are the best in the industry and will continue through the Super Bowl in February of 2019. No matter what anyone thinks or has heard on ESPN, magazine publications and anywhere else the New England Patriots will be the team to beat in the American Football Conference this season. 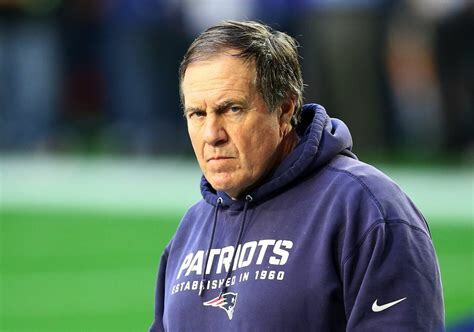 Head Coach Bill Belichick is a master at rectifying turmoil which exists surrounding his football team which season ended in a 41-33 loss to the Philadelphia Eagles in Super Bowl LII. Belichick enters his nineteenth season on the sideline in Foxborough, Massachusetts with expectations set at a premium in 2018-19 as they look to become the third team in NFL History with three consecutive Super Bowl appearances. 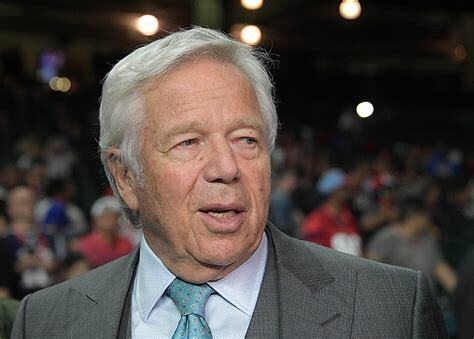 Owner Robert Kraft has handed over the keys to the kingdom to Belichick and future Hall of Fame signal-caller Tom Brady this season which from all indications could be their last together. The New England Patriots offense led the NFL with (394.2) total yards per contest, their (276.1) yards through the air and (28.6) ppg ranked second in the league. 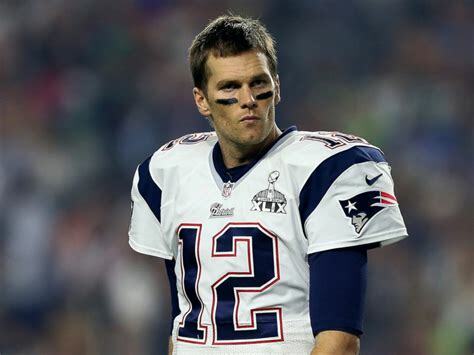 Forty-one-year-old future Hall of Fame quarterback Tom Brady also returns for his nineteenth season, all with New England; his drive this season will be greater than ever. Offensive coordinator Josh McDaniels has a new weapon in his arsenal as speedster Cordarrelle Patterson comes over from Minnesota to take the place of the disappointing Brandin Cooks. Wide Receiver Julian Edelman is back after an ACL injury, and all of the rumors about the retirement of Rob Gronkowski were put to bed in the offseason. 2018 draft picks Sony Michel is a Belichick kind of football player, he along with his Georgia teammate, offensive tackle Isaiah Wynn should fit perfectly. Despite being the most prolific offenses in the NFL last season New England went over the total just seven times in the regular season, but bettors should still go all in on overs early in the season with the Patriots. From all indications, New England will not have a defensive coordinator by a label this season, but linebackers coach Brian Flores seems to be the fit to replace Matt Patricia whos now the head coach of the Detroit Lions. Whoever takes over they have work on a unit which ranked twenty-ninth in the league giving up (366.0) yards per game, to their credit a lot of yards come in garbage time when New England took commanding leads. Still, the forty-one points given up to Philadelphia in their Super bowl defeat must be addressed. Linebacker Donta Hightower is healthy again after missing most of the 2017-18 season, and he’ll provide a pass rush off the edge. Defensive end Trey Flowers had a team-high six and a half sacks last year, and the addition of tackle Danny Shelton should provide a push in the middle. The New England secondary got accused of not having enough athleticism their previous season; they’ve added Jason McCourty, brother of Devin to play alongside Stephon Gilmore at cornerback. Safety Patrick Chung could get replaced by rookie Duke Dawson who coaches believe has a bright future. Without Patricia, they’ll struggle early in the season however in true New England fashion it’ll iron itself out by the six or seventh game. Bovada.Lv, list the Pittsburgh Steelers at +400 to win Super Bowl LIII. Free Pick. The 2018-19 New England Patriots will go 10-6 in the regular season Also, Play Online Poker Plus Other Casino Games and enter some of the best Tournaments on the World Wide Web.